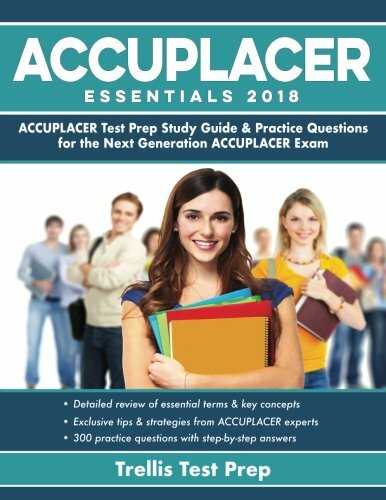 A Keyword Search in the library catalog of "ACCUPLACER" shows that we have about 20 books available on the ACCUPLACER test! Below are a few from the list. A Keyword Search in the Learning Express Library of "ASSET Test" shows that we have several online books available on the ASSET test! Below are a few from the list. A search in the library catalog for "TEAS Test" as words or phrase finds over 20 titles. Below are some of the best. By searching "Armed Services Vocational Aptitude Battery Study guides" in the catalog as a SUBJECT, you can find 25 titles. Below are a few good ones. A search in the library catalog for CLEP as a book finds around 20 titles to choose from. Below are a few good options. A search in the library catalog for GED finds over 60 titles. Below are a few good options. A search in the library catalog for"NCLEX-RN" finds 55 titles! Below are some of the best.